TOPEKA, Kan. (AP) — The House Republican campaign committee has dropped its support for an incumbent congressman facing a difficult re-election in a suburban Kansas City district that Hillary Clinton won. The National Republican Congressional Committee cancelled $1.2 million in ad spending that would have backed Kansas Rep. Kevin Yoder, spokesman Jesse Hunt confirmed Monday. 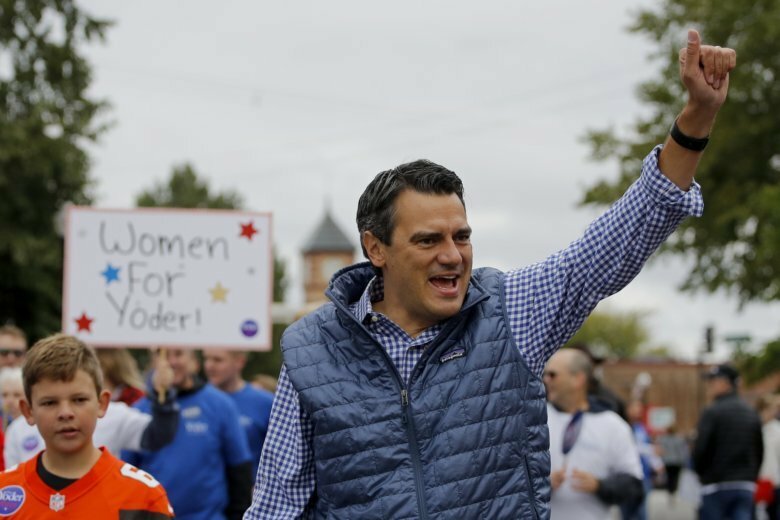 It’s just the latest indicator that Republicans are facing a hostile electoral climate in areas where candidates like Yoder, who is endorsed by President Donald Trump, had previously performed well. The Congressional Leadership Fund, the principal super PAC supporting GOP House candidates, announced last week that it was withdrawing support for two other embattled incumbents in suburbs districts near Denver and Detroit. Yoder’s race is the second the NRCC has dropped. It comes as Republicans are deciding where best to direct resources to help their candidates stave off energized Democrats in about 25 districts where Hillary Clinton won and the GOP is seen as highly vulnerable. In 2016, Clinton beat Trump by a little over 1 percentage point in Yoder’s district, which encompasses affluent, fast-growing suburbs as well as some poorer Kansas City neighborhoods. In a statement, Yoder spokesman C.J. Grover insisted that the NRCC “remains engaged in our race” and has committed to “helping Kevin directly.” He did not elaborate. Yoder’s opponent, Sharice Davids, has gained national attention for her nontraditional profile as an LGBT Native American attorney who is also a former mixed-martial arts fighter. Davids had a modest lead in a recent New York Times poll and was endorsed by former President Barack Obama on Monday. Obama included Davids on a tweeted list of more than 250 candidates he endorsed across the nation. The move by the NRCC also shows that a Democrat like Davids, who has run on a progressive platform, can perform well even in Republican-dominated states like Kansas. After Davids won her primary, Republicans scoffed that she was an “extreme” liberal and predicted she would vote in lockstep with House Democratic leader Nancy Pelosi. Through early August, Yoder had raised nearly $2.9 million for his re-election, seven times as much as the $403,000 Davids raised.